Cycling is already an important part of daily life many of Brazil’s urban residents. To grow the country’s cycling culture as well as provide better conditions for users, the new “Manual of Projects and Programs for Encouraging Cycling in Communities” is being released today at Institute of Architects of Brazil (IAB – RJ), in Rio de Janeiro. The manual gathers successful experiences in the field of urban mobility and sustainable transport and brings together these examples into concrete lessons to create a technical guide for future urban cycling projects. Within the guide’s 125 pages is an overview of the city of Rio de Janeiro, reference materials, incentive programs, and projects in progress. Key elements included span the needs of cyclists, the basic elements of the ciclovía system, various infrastructure projects, and efforts to construct biking infrastructure. The publication is the result of a collaborative study conducted by EMBARQ Brazil and the IAB – RJ. The project is supported by the Municipal Housing and Environment Agency of Rio de Janeiro and made possible by funding from Bloomberg Philanthropies. TheCityFix Brasil had the chance to sit down for a Q&A session with the lead author of the manual, Paula Santos da Rocha. When did the idea of the manual come about, and how long did it take to complete the project? The idea for developing the manual emerged after the Morar Carioca workshop, organized by EMBARQ Brazil in Rio de Janeiro in 2011. 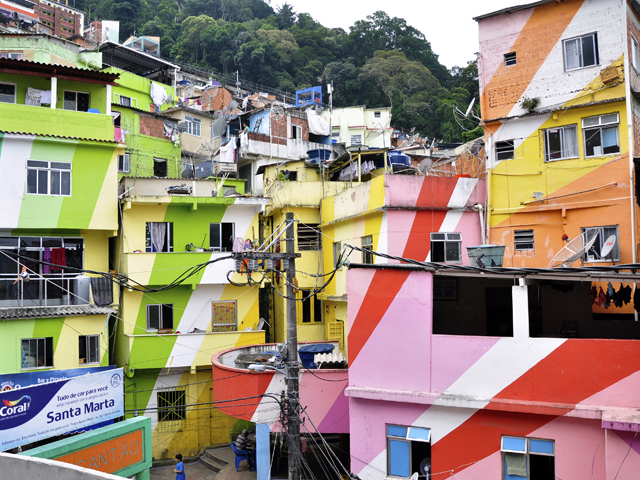 To support architects and planners in the then-new task of urbanizing the informal settlements of Rio de Janeiro – the favelas – and integrating them into the formal city, we designed the manual in 2012. From there a team with representatives from the different organizations involved in the project visited a wide range of communities and assessed best practices for each location. After two years of research, we are excited to officially launch the manual today. In what sense will this manual serve the communities of Rio? The manual provides specific recommendations to create safe infrastructure for cyclists that can be deployed within a broad range of communities, whether their typology is flat or sloped, or how far they are inside the formal city. Furthermore, the manual also addresses ways to ensure that this infrastructure is responsive to the needs of local residents and creates a sense of ownership necessary for the restructured urban area to be used effectively and bring improvements to quality of life. Will the handbook be applicable to other cities? The manual can be used by any city in Brazil or around the world, really. It can be used by anyone interested in helping to develop cycling in their communities, because the manual includes sample programs and a universal infrastructure. Some details in the manual that refer to measures adopted in Rio de Janeiro can be adopted as standard or tailored according to the master plan of each city. What do you expect to accomplish with the publication of the manual? Many people have biked in communities in Rio and throughout Brazil, but these regions still have great, untapped potential to build a culture of cycling and sustainable mobility. The bicycle is a means of healthy entertainment that can provide residents access to school, work, recreation and integration with other forms of transport. The objective of the manual is to increase bicycle use in communities, and mitigate other less sustainable forms of transport such as motorcycling and automobiles. Today’s launch event will feature a speech from Ricardo Montezuma – who was invited to present the example of mobility in Bogotá – as well as presentations from the authors of the manual. Follow @EMBARQBrasil on Twitter for live updates! The guide is available for download in Portuguese. This article was originally published at TheCityFix Brasil.